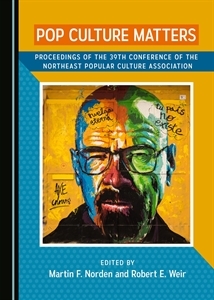 NEPCA membership connects you to scholars throughout the Northeast and beyond who share your interest in popular and American culture. You will be part of a professional organization and a dynamic scholarly community. The NEPCA community is made up of senior scholars, junior faculty members, graduate students, independent scholars, high-achieving undergraduates, and the general public. NEPCA membership provides an opportunity to share research and to network. Only NEPCA members can submit book reviews for this site. NEPCA reviews are vetted by a panel of peers and can be listed on curriculum vitae as referred publications. Only NEPCA members can serve on committees, chair conference sessions, or vote on NEPCA policy. Only NEPCA members receive an advance e-publication of NEPCA News. How do I join NEPCA? * Those residing outside of the United States must either use Pay Pal or submit a check drawn on a U.S. bank. We encourage Pay Pal submissions for all, but please send an e-membership form to NortheastPopCulture@gmail.com so that you can entered into the database. What is done with NEPCA dues? NEPCA receives no outside funding of any sort. Its entire operating budget comes from member dues and from fees assessed at the annual conference. The bulk of membership dues go toward maintaining its print and online communications paying organizational bills, offering cash prizes for outstanding scholarship, and providing a small stipend to the executive secretary. NEPCA dues are very low and the organization does all that it can to keep them that way. How much does NEPCA membership cost? NEPCA dues are on a sliding scale. Fulltime faculty members are administrators pay $30 annually. Graduate students, adjunct faculty, undergraduates, independent scholars, retirees, the general public, and part-time workers pay just $15 annually. Some individuals choose to pay a lifetime membership fee of $150. If I give a paper at the conference, do I need to pay dues? Yes, but you don’t need to write a separate check as dues are built-in to the cost. You only need to pay separately when you renew. If you have already paid your dues for the calendar year, the dues part of your registration fee will automatically renew for the next year. It is NEPCA’s fondest desire that you will renew annually and that you will become an active part of the NEPCA community of scholars. How do I remember when it’s time to renew? NEPCA membership runs from October 30 of one calendar year to October 30 of the next. If you attend the conference you automatically renew; if you don’t, your membership expires on October 30. You will also receive an email reminder before the next newsletter is mailed. Please respond promptly to renewal notices as NEPCA purges expired memberships from its mailing list.